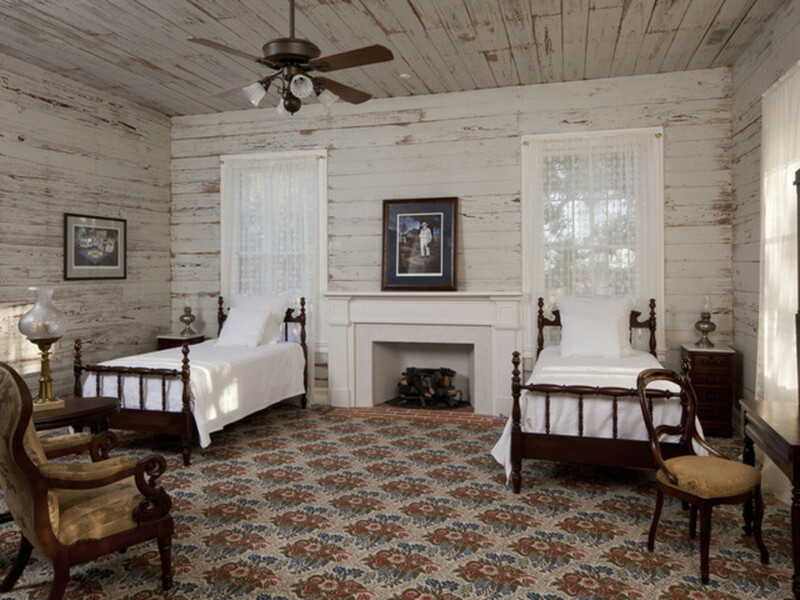 In 1981, a woman and her husband cruised by the historic plantation 30 miles from Austin that her family had owned for generations. 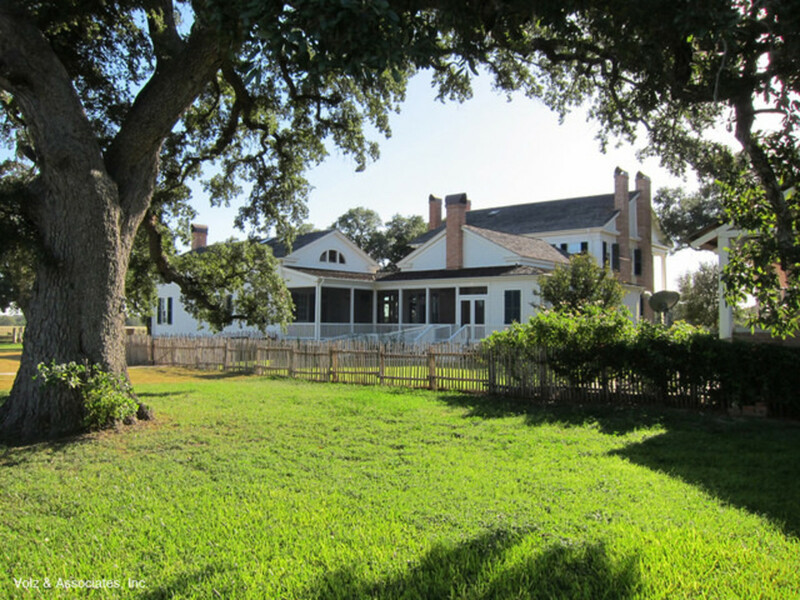 She had heard many stories from her grandmother about the Central Texas home her family had lost during the Great Depression, and after seeing it, she and her husband dreamed of living in it one day. More than 30 years later, the couple retired from their corporate jobs in California and set about making their Texas dream come true. In 2004 they approached the current owners, who agreed to sell. 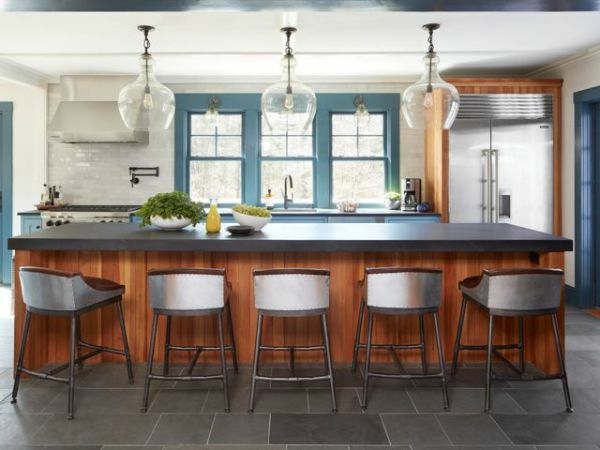 Next they turned to husband-and-wife team John (architect) and Candace (interior designer) Volz of Volz & Associates to help them with the preservation, restoration, renovation, and additions. 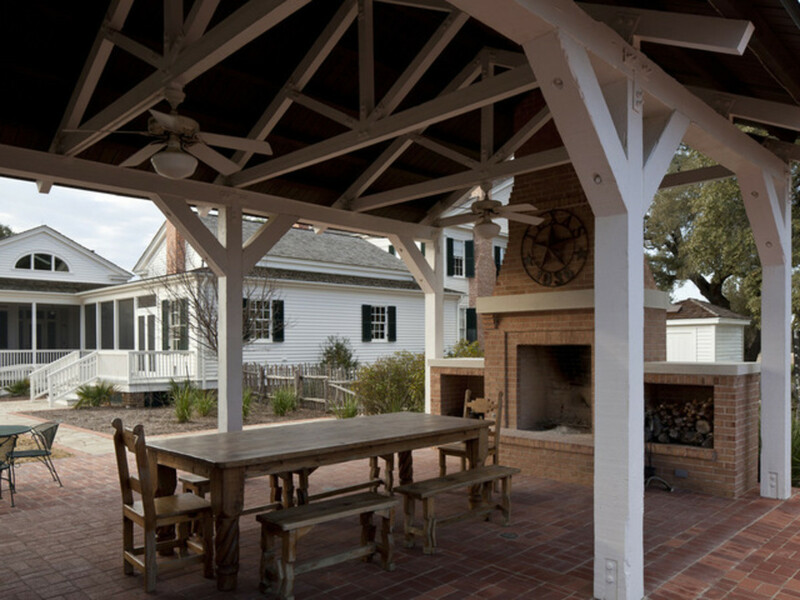 The clients and the Volzes threw themselves into researching the home's rich history while assembling a master plan. The wife had assembled family archives, photographs, interviews, handwritten family memoirs, and letters. 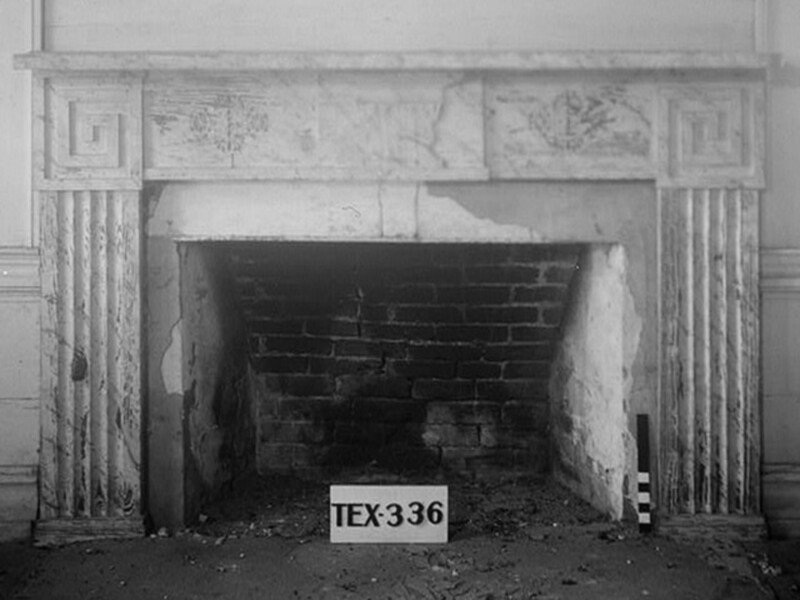 There were also a few Historic American Building Survery (HABS) photos taken in 1936 of the two parlors that designer Candace Volz analyzed down to the smallest details. 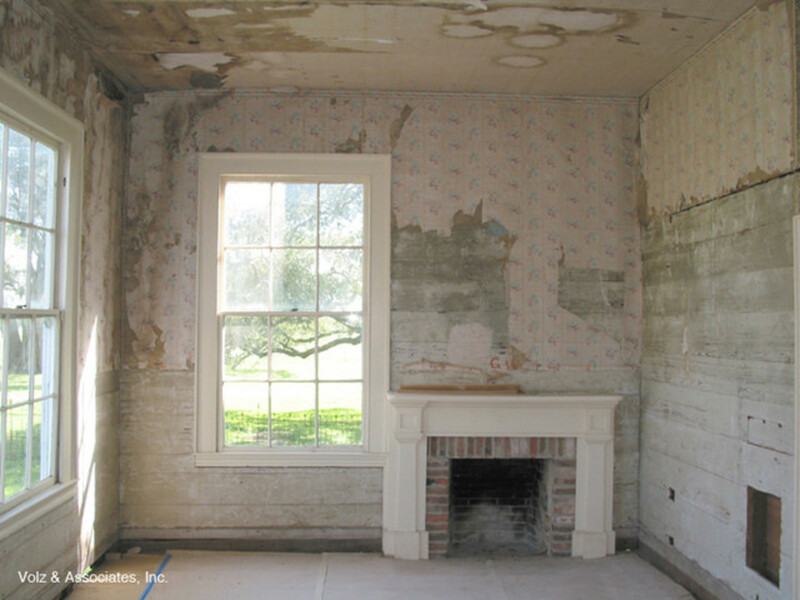 The restoration portion of the project included historic finishes (such as faux marbelizing and stenciling), refurbished vintage light and plumbing fixtures, antique furniture, custom cabinetry and millwork, encaustic tile, new and vintage reproduction appliances, and historic reproduction carpets and drapes. 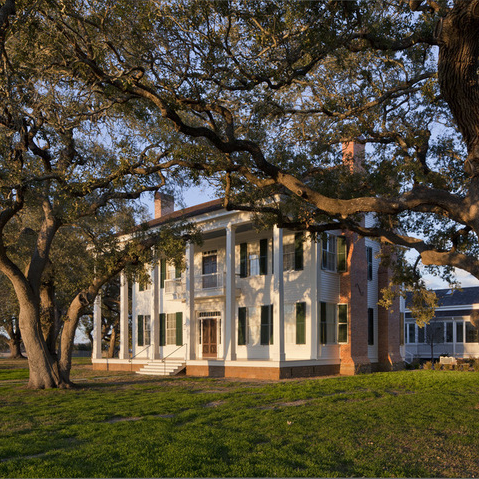 The home is a recorded Texas historic landmark built in 1857; the original 2,000-acre plantation was established in 1836. 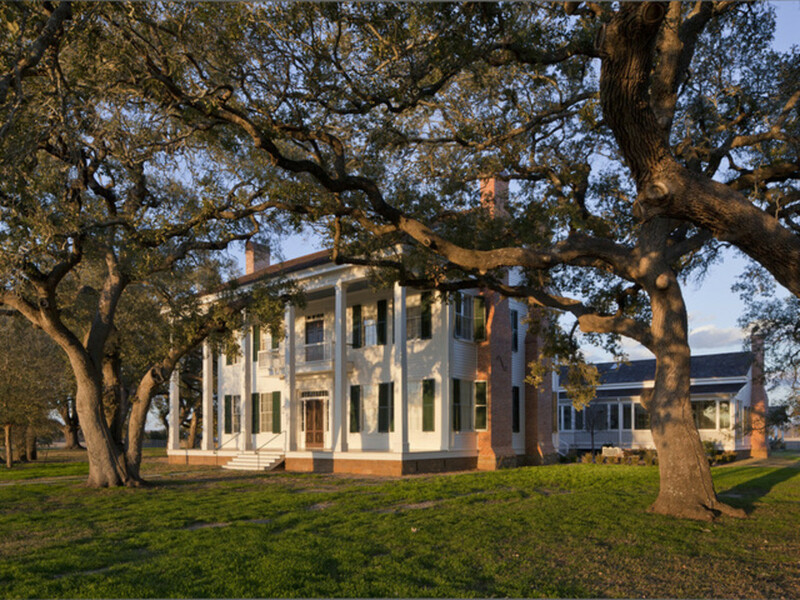 Part of the historic research included getting in touch with a genealogical society of descendants of slaves who had lived there; the clients hosted a lunch where they all swapped family lore, and they are still in touch. The Volzes also spoke at length with the couple about how to accommodate the house to fit their lifestyle and worked on a plan, which included a compatible addition, a lap pool, a pool house, an outdoor kitchen pavilion, a guesthouse complete with exercise room, and a restoration of the family cemetery plot. 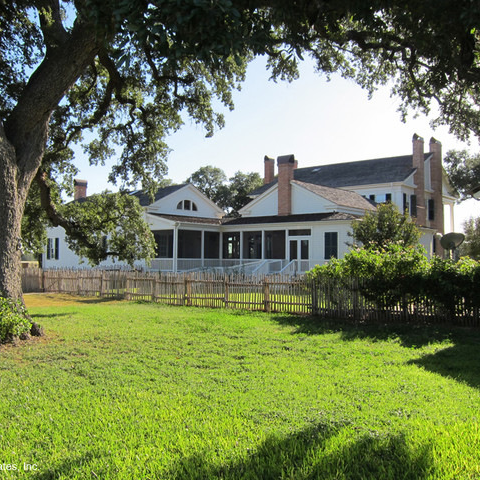 All of these additions needed to honor the original house and the rural setting, preserve all the trees in the live-oak grove, and take advantage of the vast pastoral views. 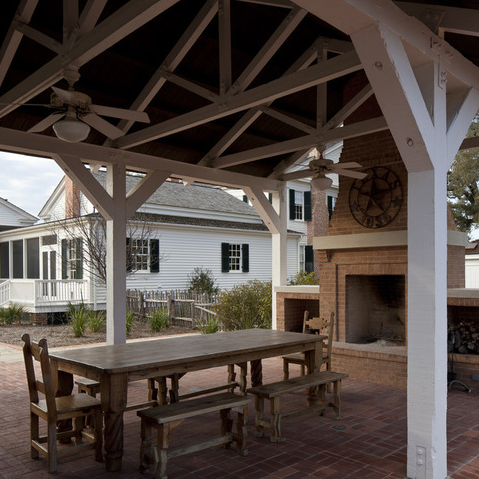 The new part of the house has a form that coordinates with the historic home; it connects with the main home through a breezeway. 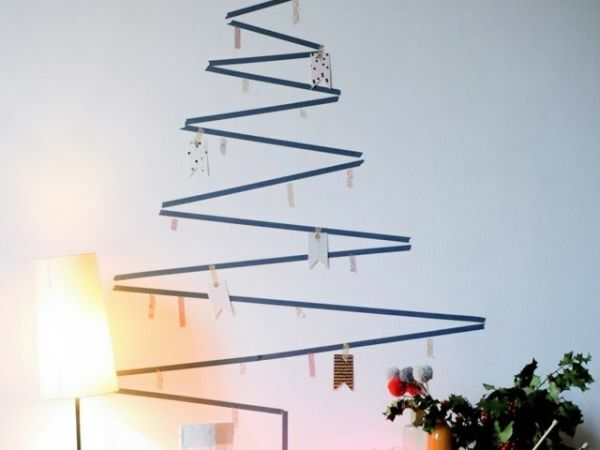 While more modern, the style still takes inspiration from the era. 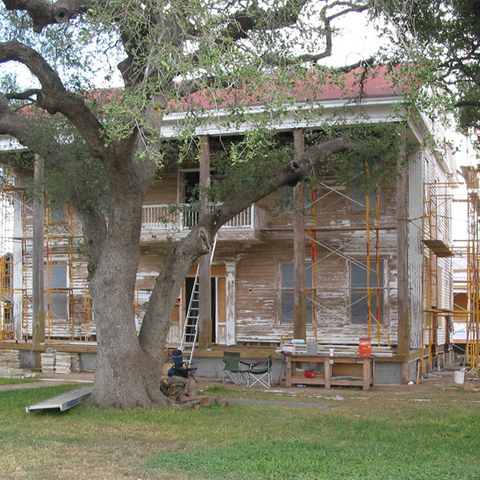 The additions were built to look like outbuildings would have looked like back in the 1800s. The owners love to entertain and wanted to host large family gatherings at their ancestral home; in addition to the extra bedrooms in the main house, they now have a barn-like guest structure that includes a full exercise room, bedrooms, a great room, a kitchen, and a dorm-like space for the younger kids to sleep in when they are at full capacity. The owners completed the guesthouse, and much like Martha and Thomas Jefferson at Monticello, moved into it for several years while the rest of the work took place. 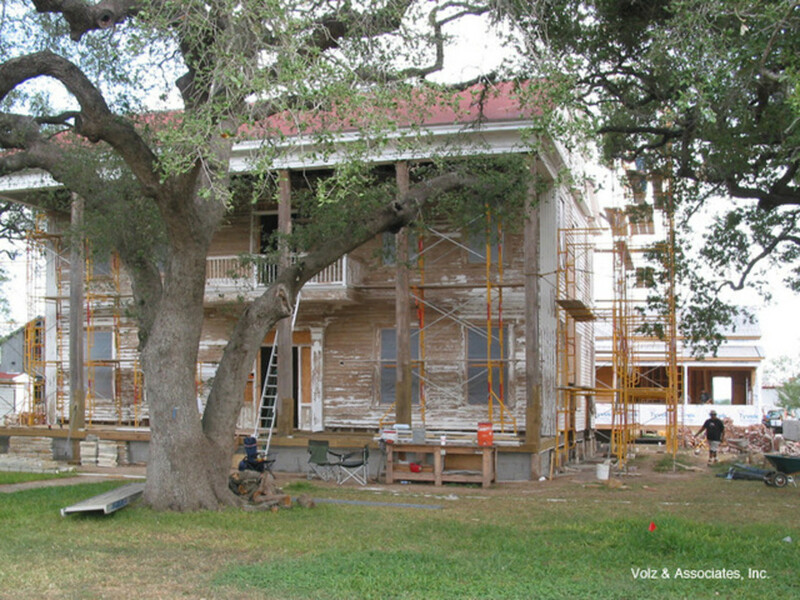 The house required a lot of work; the crew had to disassemble the remaining chimneys, lift the house up, and make thorough repairs to the crumbling foundation. The chimneys were then rebuilt. 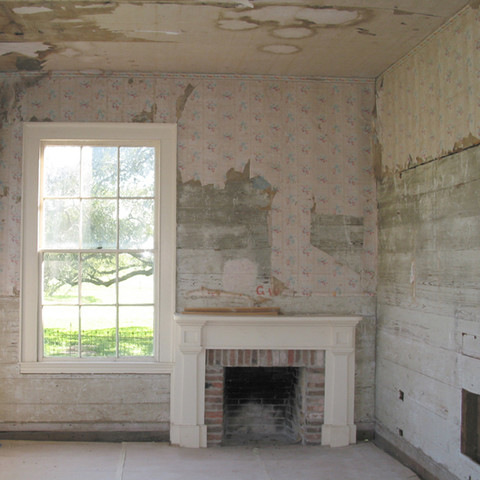 Many of the original architectural details had been destroyed, and there was extensive termite damage. 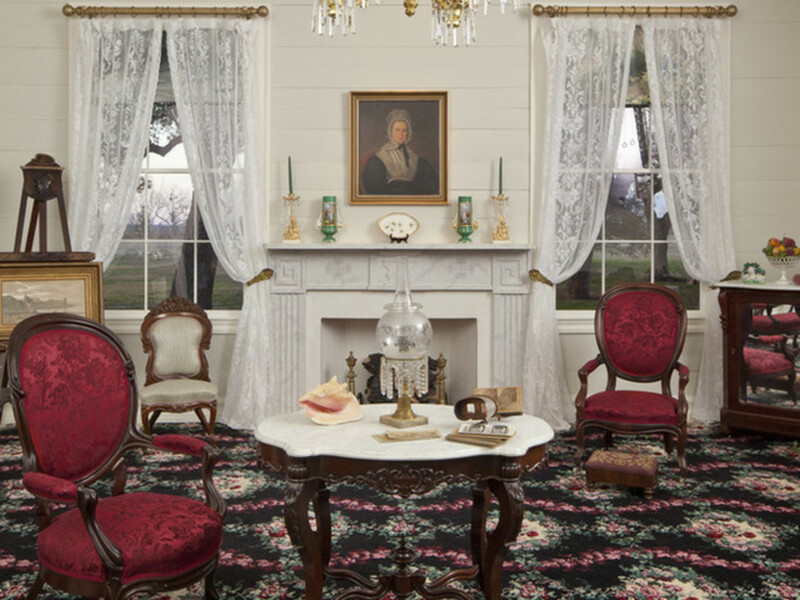 The plantation's heyday was from the 1850s to the 1880s, so Candace used that time period as the guideline for furnishing the home. "My client did not want the house to become a museum, but as we worked together picking furnishings, she became more and more interested in placing appropriate period pieces," she explains. "I talked her into sticking with American antiques, which are what were likely used in the home and will hold their value better." 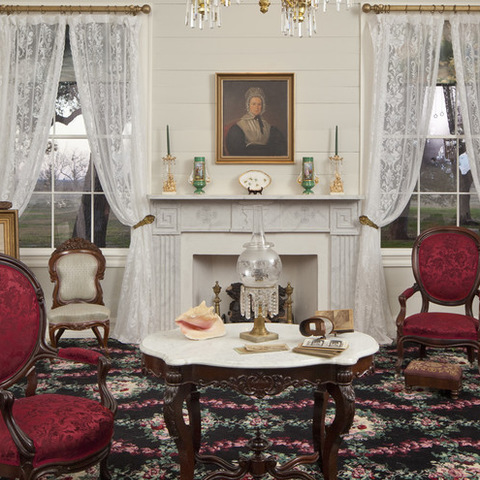 Thanks to the HABS photos and descriptions of the ladies' parlor in family letters, Candace was able to recreate the room with a lot of integrity. Letters mentioned horsehair furniture, a seashell on the table, and red roses in the carpet. Candace found a rug full of the realistic floral rococo patterns popular during the time period. Strict historic guidelines were loosened a little in what the owner refers to as the gentlemen's parlor. While the red and gold Gothic revival wool rug, madras window treatments, and light fixtures are appropriate for the time period, a sofa is covered in a more updated leather and hide combination, and the painting is by George Rodrigue, a modern-day New Orleans artist. "My client spent some time living in New Orleans and collected Rodrigue works," Candace says. "She gave him an old family photo taken at the plantation and had him re-create it in his distinct style." Extensive restoration work took place in the library, which had been turned into a kitchen at some point. The Volzes turned to master carpenter Joe Tongate to restore all of the original tongue and groove wallboards in the home. The room is used as an office. Throughout the old part of the house, most of the light fixtures are reproductions inspired by Cornelius and Hooper lighting catalogs from the period and hand-crafted by Jefferson Art Lighting. The fixture in the library is an original restored Bradley and Hubbard kerosene fixture with reproduction glass globes. 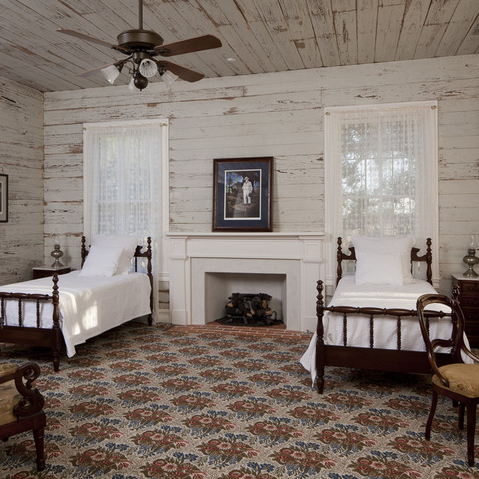 While the records indicated that extensive floorcloths had been used throughout the hallways, the client wanted to show off the beautifully restored original Bastrop pine floors. Candace took her inspiration from floorcloth patterns of the time period when designing the painted floor and its Greek-style border. "It was important to the client that the grain of the floorboards show through," she says, so they were painted appropriately. Much of the interior had only one coat of paint on it from 1857 until the 1970s. One bedroom still had the original paint, as well as scribbled notes from 1931 regarding the number of bales of cotton that year. 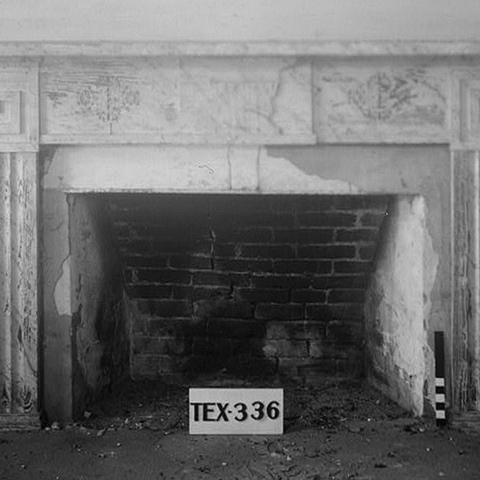 The team flaked off the loose paint and then preserved what was left with conservator's coating, which adds a consistent and smooth layer that preserves the historic layer beneath it. 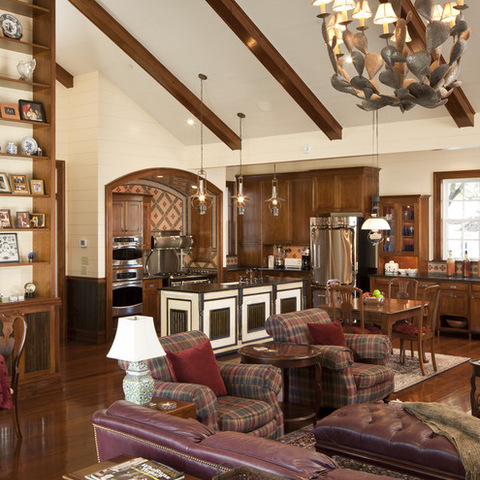 A great room, kitchen, and breakfast room occupy the large, open space in the new addition. The chandelier is from Mexico and has a cactus design. The new master suite's walls are covered in wallboards inspired by the original house. The stairs in the master suite lead up to the wife's office, where one of her beloved George Rodrigue works is displayed. In the master bath, the wallboards and light fixture give a nod to the historic part of the house, but the moldings and finishes are more modern. The entire process, from the design phase to completed construction, took between five and six years — and the Volzes thoroughly enjoyed it. 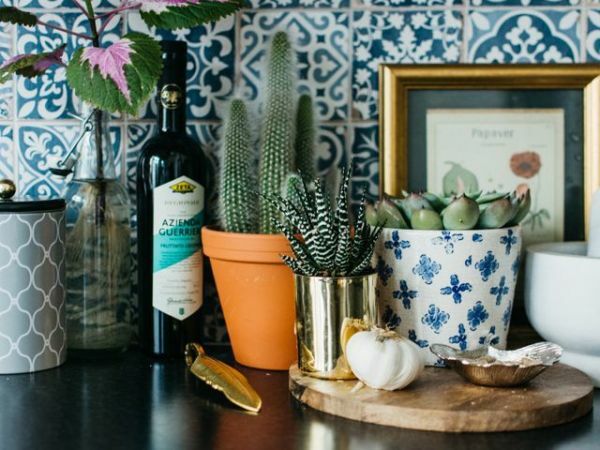 The home has a lot of staying power. It survived the Civil War and the Great Depression, and during construction, a tornado narrowly missed it. Soon after the construction was complete, the owners evacuated as a major forest fire headed their way. As they were mourning the almost certain loss of their home, the winds suddenly changed and spared it. 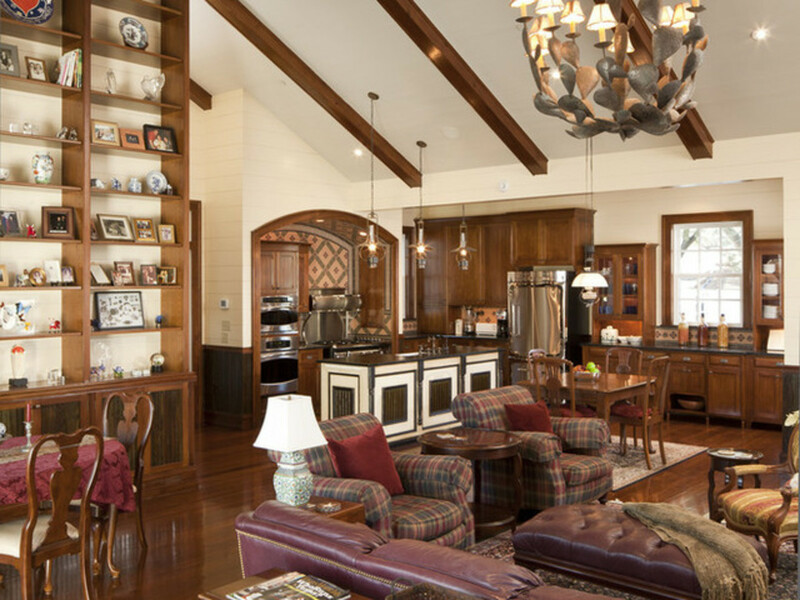 The home embraces family history and provides a wonderful place for the family to create new memories.